Yesterday, I asked you guys on Facebook and Twitter which among the three recently announced Nokia X-Series Android smartphones you're most excited about and most of you answered, "Nokia XL!" And why not? Phablets are probably the hottest devices these days and Nokia XL is perhaps the closest thing to an Android smartphone-tablet hybrid that we could get from the Finnish Giant as of today. 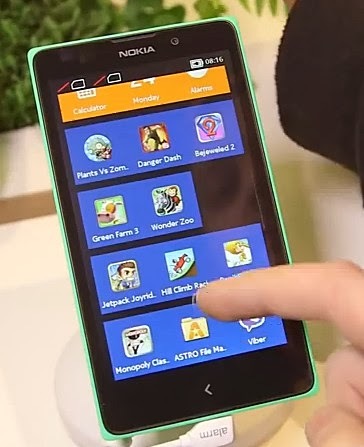 As you all know, I love oversized smartphones and like you guys, I also fell in love with Nokia XL at first sight. Obviously, its large 5-inch WVGA IPS display is one of the highlights of this release. 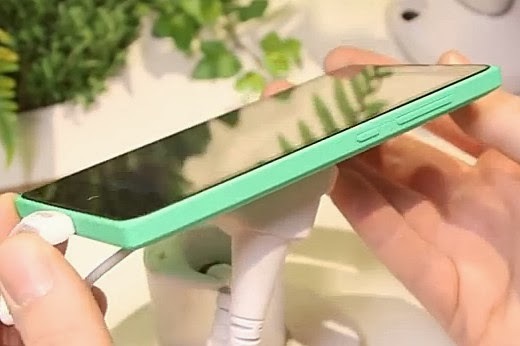 If you have the first generation Samsung Galaxy Grand, Nokia XL's display has the same size and pixel density but the latter should have superior viewing angles because of IPS screen technology. Having such large viewing area allows Nokia XL to deliver a visually enjoyable gaming, web-browsing, and overall multimedia experience; If you love watching movies on your phone, I'm sure you'd appreciate it even more on the Nokia XL. Nokia is widely recognized as the best cameraphone maker in the world and I'm glad that even if Nokia XL is an entry-level release, the Finnish company still managed to give it a pair of decent shooters. 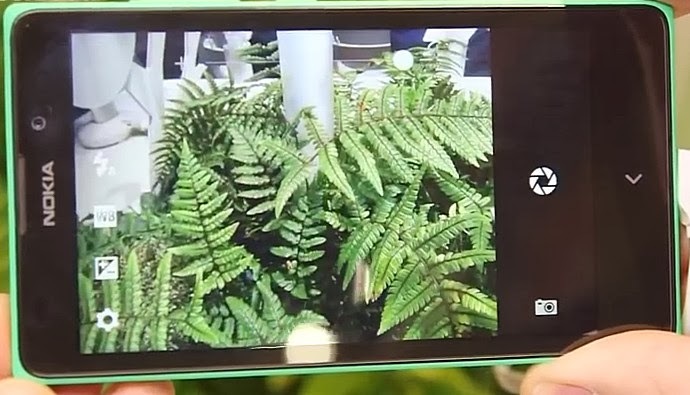 Needless to say, the phone's 5 MegaPixel main camera with LED flash and 2 MegaPixel front cam are nowhere near as powerful as of the company's more expensive PureView releases but I believe that, with Nokia XL, budget-conscious consumers can somehow get a glimpse of what the company has to offer in the imaging department. If there's anything that everyone who has owned a Nokia handset will agree on, I guess it would have to be the fact that Nokia phones are built like a tank. These devices are made to gracefully survive the knocks, drops, and bumps of daily use. 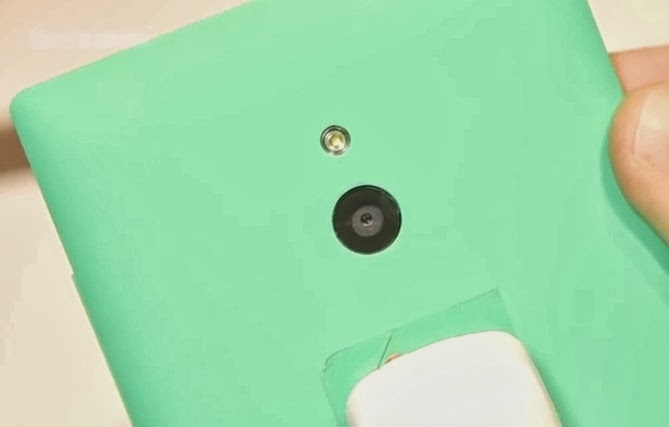 And from the looks of it, Nokia XL is no exception. We get the same Asha-like solid monoblock design language highlighted by the swappable matte plastic back shell available in a variety of colors including Cyan, Yellow, and Orange. Now, as for the innards, the handset runs Android 4.1.2 Jelly Bean operating system skinned by the tile-laden Nokia X Software Platform user interface with its Dual Core 1 GHz ARM Cortex A5 CPU and Adreno 203 GPU based Qualcomm MSM8225 Snapdragon S4 Play SoC. There's also 768 MB of RAM for smooth multitasking and 4 GB of ROM expandable via microSD card slot under the hood. All these specifications combine to give the Nokia XL an Antutu Benchmark Score of 7,623; Not much -- but considering the phone's low price and that it bears the logo of one of the biggest and most respected electronics companies in the world, it's not something that I'm inclined to dwell too much on. 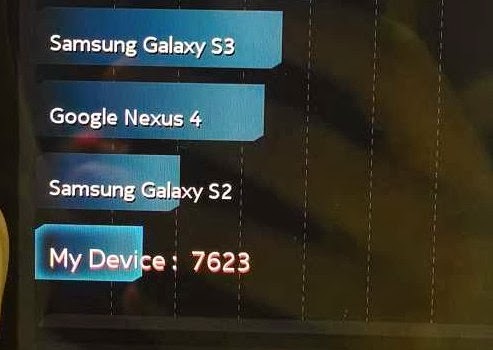 As I've shared in a previous post, although running an operating system that's based on Android, Dual SIM Dual Standby Nokia XL and its siblings - Nokia X and Nokia X+ - won't give users access to Google services including Play Store, the marketplace for Android applications. Nonetheless, you can still download apps from the Nokia Store and third party app stores like Yandex and Amazon Appstore or you may also try sideloading. So when will this smartphone become available in the Philippines? According to Nokia, the handset should hit store shelves across the globe within Q2 2014 and with SRP of 109 Euros. I'm personally expecting Nokia XL to start selling here come the last week of April, which is usually the time Nokia Philippines launches new devices. As for the price tag, the TP Price Guesstimate is around Php 6,680, which is just the international SRP with current conversion and before taxes. Update as of May 30, 2014: Nokia XL has just been launched in the Philippines. Its official suggested retail price in Nokia Stores and authorized retailers is Php 8,990 and it will be available in six colors, Cyan, Orange, Black, White, Yellow, and Bright Green.